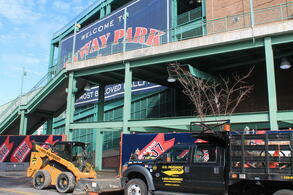 After a harsh New England winter, the Fenway parking lots were in need of some pampering. 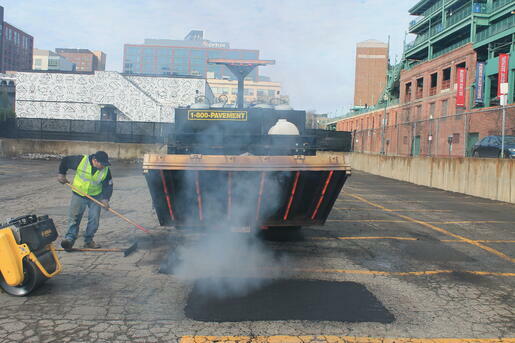 U.S. Pavement is well equipped to service the lots with their two infrared units to patch potholes and stripe the parking lots in preparation for the season. In addition, U.S. Pavement crews repaved the player’s lot, ensuring safe and easy maneuvering for the players. 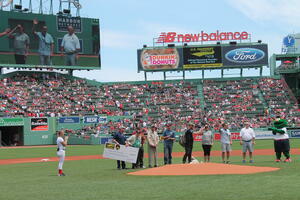 Through their partnership, U.S. Pavement hosts an annual celebration for veterans during a Red Sox home game each year, honoring and inviting hundreds of veterans and their families for a day at Fenway Park. For the past six years veterans have been given the opportunity to tour the historic Fenway Park, watch batting practice from the warning track, as well as stay for the game! The company will host the 7th Annual Pledge to Hire Veterans game on May 11, 2019, inviting over 310 veterans and their families to Fenway Park for the day. 2019 has been a big year for U.S. Pavement, and it is just the beginning. U.S. Pavement was honored and recognized on GC magazine as one of the best paving contractors in the U.S. In addition, the company received the “Paving: Non-Parking Lot” award from the voice of the industry, Pavement Magazine, for their specialized project at Harvard University, with the end result reflecting nothing less than the University’s prestigious reputation. From award winning Harvard walkways, to commercials jobs and performing work for the Boston Red Sox at Fenway Park, U.S. Pavement takes great pride in the work they do each and every day, all while maintaining their main focus of giving back to the communities they serve.